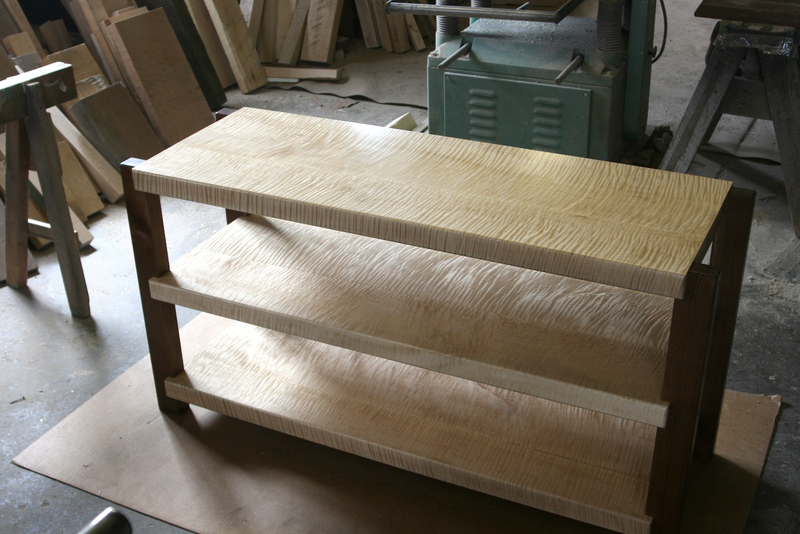 Looking at this one with, a special order with an added shelf. I like the ability to put pieces side by side. Three shelves might be enough, but, I'd rather pay for an extra shelf now and not need it then need it and not have the ability to add one. I looked at the VTI pieces as well. They make a wide unit labeled a TV stand, but, it's not tall enough. There is an 1/8 inch difference between the audio rack poles and the TV racks, which really sux. Was going to buy one of each and blend them together. I even emailed VTI and they were quick to get back with me letting me know they definitely wouldn't match. If all I needed was a good basic audio rack I'd hit Doug up for one of the VTI's. here's one that's on sale for you. Aside from the spikes on each shelf/section looking cool, what is the real world and/or functional difference between having them or not? They have pretty good prices, but, if you decide to go with VTI I would still reach out to Doug and see what he can do for you. Go for the VTI shelves. Make payments if you have to. i think you'll be happier seeing how you've gone tubular and mono blocks. 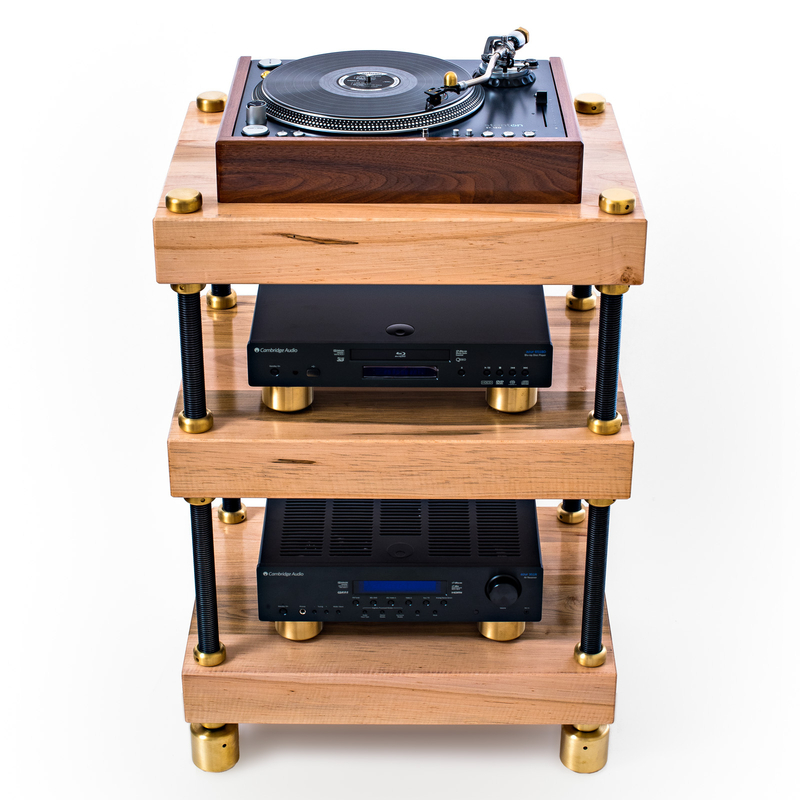 1st class affordable shelving for 1st class audio components. You can't quickly change shelving without the spikes. You have 12 quick ways to configure the spiked one I think. I’ll sell you a full set of 4 for $9.99, well worth it. Sorry, cash and carry.......plus shipping of course. I dont't foresee having to change the shelving configuration very often. But if there is another reason for spikes on each section such as better isolation/vibration reduction, then I'd be attracted to that. Even with an additional shelf, the VTI is still cheaper than the SolidSteel, so there's that. I think the spikes do support the theory of isolation of vibrations getting transferred. VTI racks are very solid. 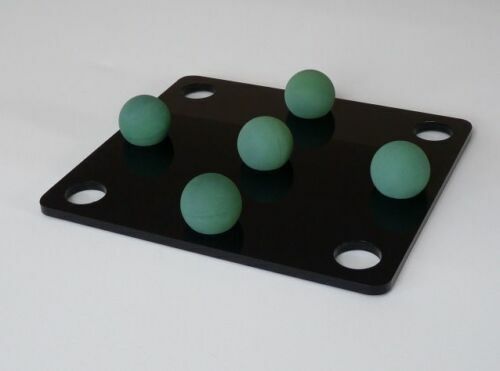 You can fill them with lead shot to further dampen the rack as long as you use silicone sealant on the small holes. You have more color options and combinations with the VTI racks as well. Winner winner chicken dinner! My last VTI rack I used pipe insulation in the tubes. One time I had a cap pop off and had lead shot everywhere on the hardwood floor. With the insulation method, you can also take some plastic pipe cut to correct length, cap one end, fill them with oil or shot and cap the other end to further deaden/add weight. 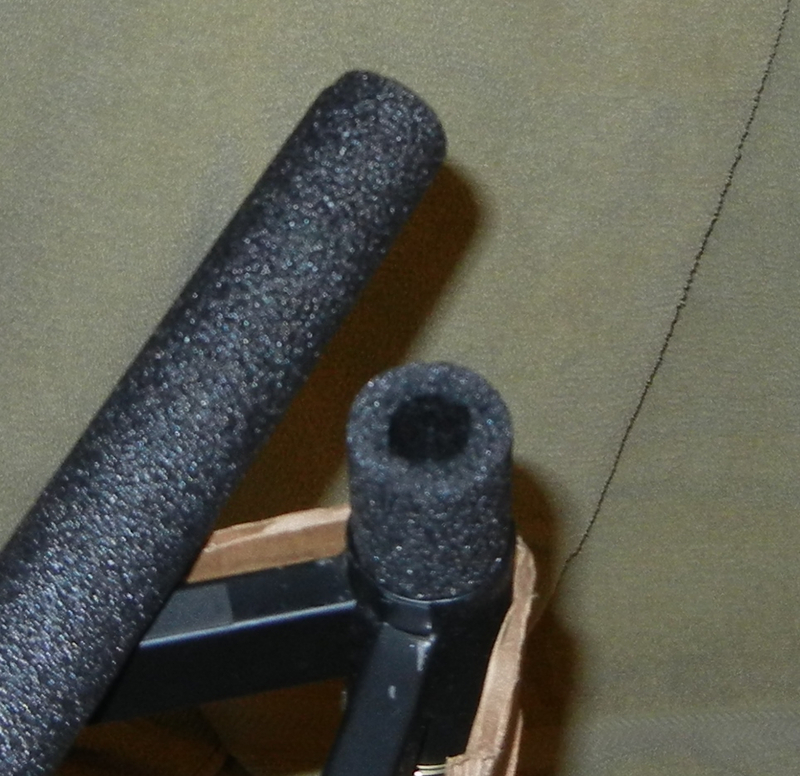 You can apply some strips of sound deadener to the cross braces. 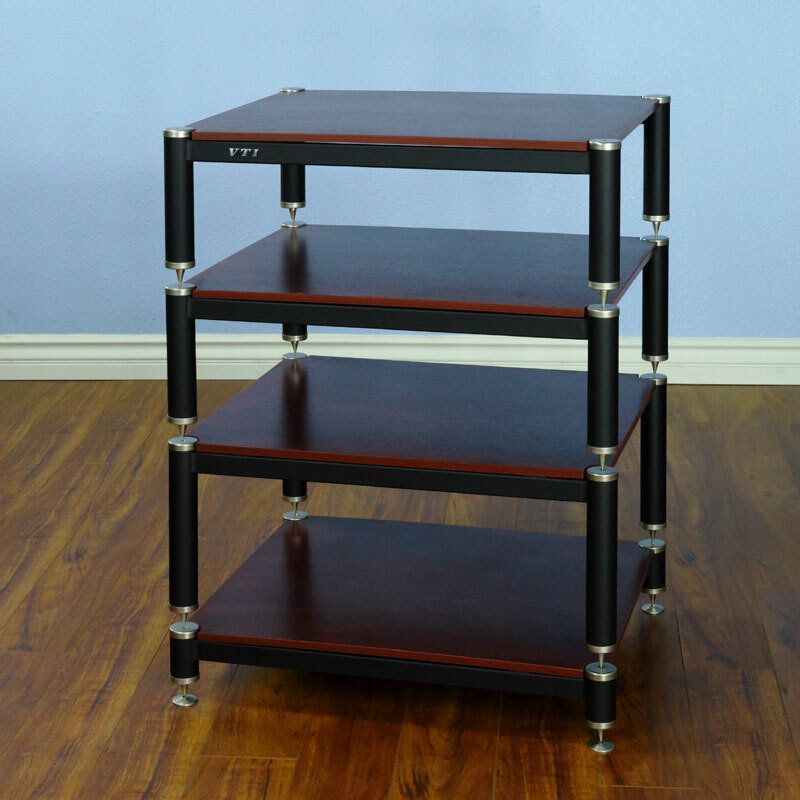 With the VTI racks, what is each shelf sitting on? It's not clear to me how the individual shelves are supported. The spikes are for isolation/vibration control. Thanks Jesse. I'm leaning toward the VTI, just want to make sure I'm making a wise choice. Very nice, but very expensive! Indeed. Just thought you'd like a look to see what features they have verses what you are looking at to give me a better idea of what is what. Here's another, over engineered to the Nth degree. I love my solid maple rack from Mapleshade. It weighs 500 lbs empty, and is vibration free regardless of the SPL. You can create your own custom design to fit your need. Nice. Their stuff is gorgeous and relatively reasonably priced. I wonder if any one particular way is dramatically better than another, in terms of stability. The only issue (it seems) none of the manufacturers deal with is standing waves. Don't really know if anything can be done about those. But the points do seem to isolate the Shelf completely as opposed to having the Shelf attached to the supports. I wonder at which point vibrations from the speakers even come into play. BlueFox mentioned high SPLs. 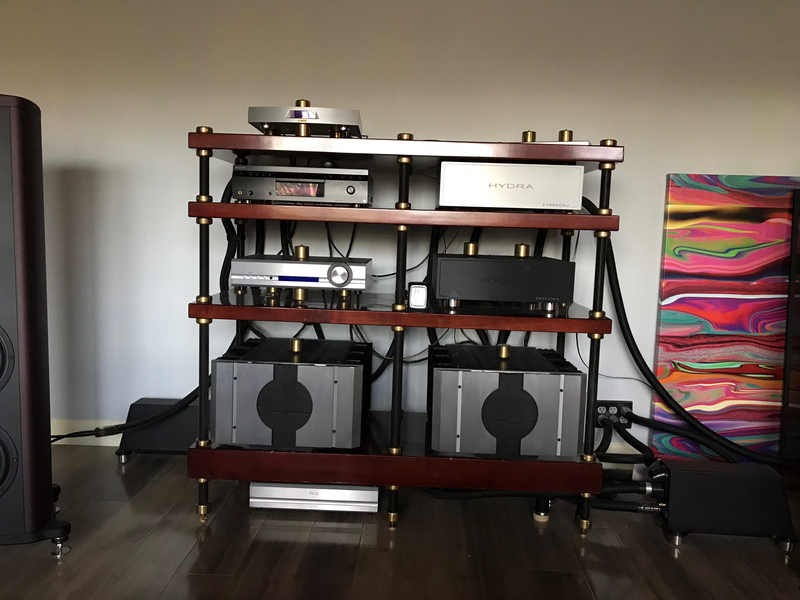 Even when I listen at what I perceive as louder volumes, I can't feel any resonance of vibration leaving my 703s at all, the cabinets themselves and what they are sitting on isn't resonating at all. 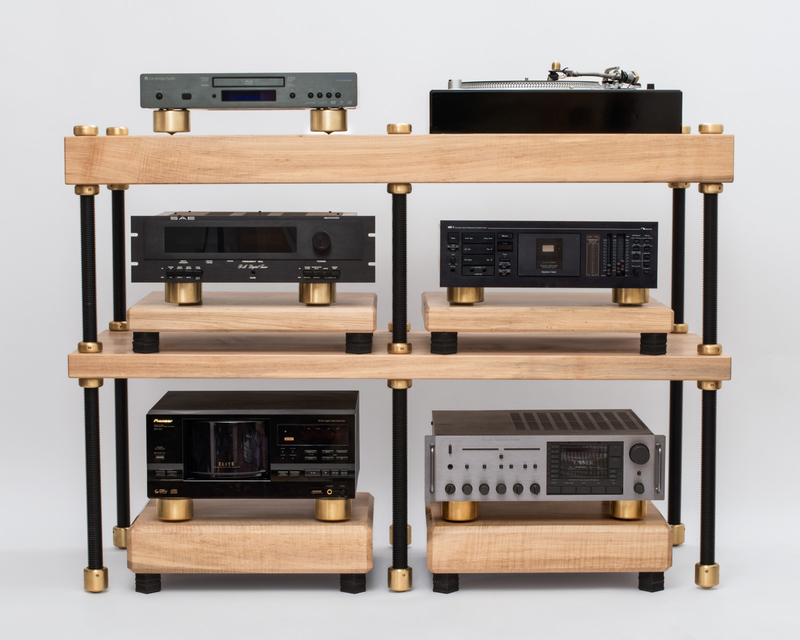 My current rack is just physically wobbly from side to side, so I think most of the vibrations it's dealing with would be from me or my wife walking past it or her dancing to a song that she likes when in close proximity to it. I had a TT on a wobbly table and had rumble feedback BAD. Some guys and or gal told me to get a solid table asap. The new solid table eliminated the rumble. I think the SDA-SRS2's were vibrating that table with low soundwaves. Oh yeah I see the advantage for TT for sure. My current rack is nowhere near up to the task of supporting a TT. So that's one benefit of getting a new one, a TT in the bedroom. Win-Win. I wonder at which point vibrations from the speakers even come into play.